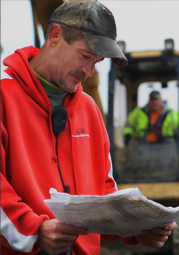 Dan Rychart is on-site at every job to ensure everything is done right the first time. Rychart Excavation, Inc. is a general contracting company based in Hillsboro, Oregon serving the Portland metropolitan area. When Portland needs underground utility work, it turns to Rychart Excavation! Since 1994, we’ve been the most trusted name in excavation in the Pacific Northwest. From site preparation to demolition and hauling; we do it all and we get it done right for you! Rychart Excavation provides all types of underground utility work. We install power, cable T.V., telephone conduit, sanitary, storm + water mains and laterals. We work closely with local jurisdictions and engineering firms to help secure the necessary permits and make sure every location is completely safe to work on before we even begin. For excavation, site-preparation, demolition and underground utilities, there’s no better company than Rychart Excavation. Competent, qualified, courteous team members onsite with direct contact & supervision with owner. Rychart Excavation is thankful to our clients and our community for the opportunity to provide a sincere service since 1994. We at Rychart Excavation, Inc. take great pride and care of our clients needs from the red tape of municipalities to the coordination & communication with engineering firms, inspectors, and other contractors & clients. All of our proposals and daily activities are given with extremely thorough investigation and thought. Our contractors are industry professionals. We treat every job as if it were our only job. Our contractors work to the motto of getting the job done right, the first time! To ensure your complete customer satisfaction, we always have a qualified experienced team on site, with the owner either on site, or within direct contact. This way, we can answer any questions you have about our procedures, time lines, costs, and more. No other company combines such quality customer service with excavation services. It’s what has kept us serving the Portland metropolitan area for eighteen years. 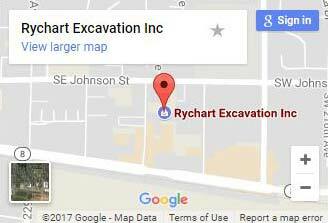 Call Rychart Excavation today for your first consultation!